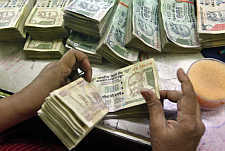 The Financial Intelligence Unit of the Indian Finance Ministry will probe an alleged sting operation conducted by an online portal claiming that the country's three large private banks indulged in money laundering both within and outside India. The FIU will also provide information in this regard to the Income Tax department which has already begun a probe into the contents of the sting operation, a senior I-T official said on Thursday. The I-T department, sources said, would also approach online portal Cobrapost to obtain the unedited footage of the sting operation. The FIU, an enforcement agency, is empowered to undertake investigations under the provisions of the Prevention of Money Laundering Act. The three banks had issued statements saying they will investigate the charges. However, all the three banks have claimed they conduct their business in compliance with legal and regulatory requirements of the highest standards. Banks are mandated to submit three types of reports to the FIU under the Know Your Customer provisions framed by the RBI and as required under the PMLA. The FIU receives Suspicious Transaction Reports, Cash Transaction Reports and Counterfeit Currency Reports from banks - both private and public - and from a variety of financial intermediaries. The FIU subsequently dispatches them to the concerned enforcement and investigation agencies for action.